BRAND NEW CONSTRUCTION! Gorgeous "Kendrick plan with unfinished BASEMENT on a nearly acre wooded yard. Relaxed, family-friendly, lake living just 20 mins from uptown, the airport, and other major Charlotte roadways! Enter an open foyer with study w/ french doors across from a dining room w/ coffered ceiling. Private guest suite nearby w/ private bath, separate from powder. Large family room with fireplace opens to a gourmet kitchen with white maple cabinets, "silver frost" granite tops, gas cook top, and SS appliances! Huge master suite upstairs, privately situated from secondary rooms, comes complete with tray ceiling, gorgeous master bath w/ his and her sinks, and oversized closet. Large rec room great for kids space or entertaining! No detail spared! 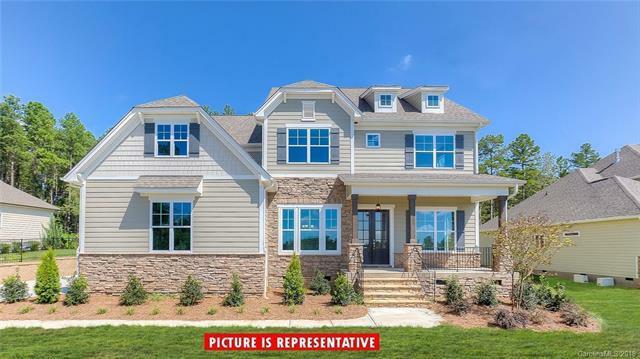 10 ft ceilings, 8 ft doors, expansive tile work, granite in all baths, heavy millwork, upgraded 5" wide hardwood floors, front & back porches, and full landscape package! Come look at this rare BASEMENT home before its too late!